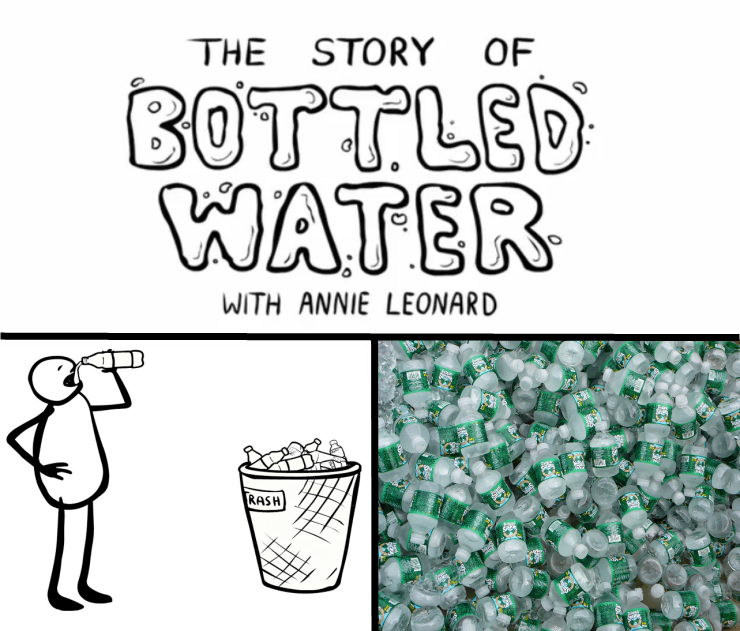 Another story from Annie Leonard The Story of Bottled Water, released on March 22, 2010 (World Water Day) employs the Story of Stuff style to tell the story of manufactured demand—how you get Americans to buy more than half a billion bottles of water every week when it already flows from the tap. 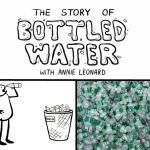 Over five minutes, the film explores the bottled water industry’s attacks on tap water and its use of seductive, environmental-themed advertising to cover up the mountains of plastic waste it produces. The film concludes with a call to take back the tap, not only by making a personal commitment to avoid bottled water, but by supporting investments in clean, available tap water for all.